Have you ever visited Amani Nature Reserve? here is a page for you. The reserve is well off the beaten path of the usual safari circuit, but makes a perfect stopover on longer trips and while driving to the Swahili Coast. It’s quiet, tranquil setting offers the perfect opportunity to relax from the rigourous schedule of vehicle-based safaris. 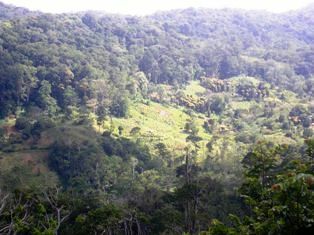 Although the area has been the focus of conservation efforts and botanical research for over a century, the Amani Nature Reserve has only been a protected area since 1997. Amani Botanical gardens, the second largest botanical garden in the world lies in this reserve. International efforts to preserve the beauty of the Usambara forests within its boundaries have met with much local success. Guided nature walks, prohibited in Tanzania’s national parks, are a unique feature of the nature reserve and offer an exciting opportunity to view the flora and fauna of the area up close. For the aspiring African botanist, Amani Nature Park’s incredible diversity of plant life -- between 600 to 1,000 different species -- is sure to attract. The East Usambara Conservation Area Management Programme created and maintains the nature trails, as well as training guides in an effort to encourage village collaboration and conservation efforts. Short or long walks can be arranged, and the guides are very knowledgeable about local species, bird and insect life, and traditional plant uses. Located at the base of the central Usambara Mountains, near Tanga town. It harbors some of the animals only seen in Usambara such as Nduk eagle owl and most endemic plants. You have an opportunity to see black and white colobus and blue monkey.